Temperatures are dropping across the country and soon winter will be here. While wintertime may be wonderful in its own way, it's also a time for higher energy bills. For businesses, higher energy bills can take away money from your budget that would otherwise be used for improving your office experience. But what can you do to reduce these high energy bills during the upcoming winter months? Your office space needs to be taken care of the same way you'd take care of your own house. That means making sure there's enough insulation around the building, cracks are taken care of, and your windows are properly sealed. Air leaks can pull the warm air from your heating system outside the building, making your HVAC system work twice as hard to keep everyone warm. Inefficient insulating material can also cause heat to escape. Another way to reduce energy costs this winter is to make sure your heating system is ready to go for the second half of the year. When you flip the switch and turn on your heating system without any seasonal maintenance, you may exacerbate a small problem and turn it into a major disaster. Seasonal maintenance ensures that your filters are clear, your heating system is good to operate, and that your heating system is in the best shape possible for optimal energy efficiency. Energy bills are often higher during the winter months because days are shorter, which means you need to turn on more lights to see as the workday goes on. That said, the reduce energy bills this season, don't use power where you don't need it. Start by installing an electronic document management systems so your employees can access important files without going to the filing room, turning on the light, and leaving the light on for a long period of time as they hunt down the files they need. Next, consider using managed print services to reduce the number of copiers used in your office during the winter months. The more optimized your copy machines and printers are, the less energy you'll waste. Interested in document management systems for your office? 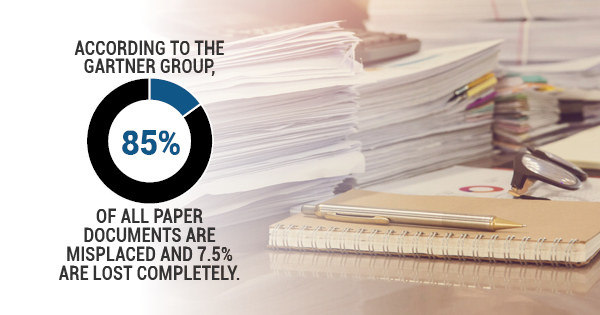 Document management systems are a great addition to your workplace no matter the season, especially considering 15% of all paper documents are misplace and 7.5% are lost entirely. A and B Business Solutions offers document management solutions and managed print solutions to make your office as efficient as possible. To learn more about our electronic document management services or managed printing services, contact A and B Business Solutions today.